Shining Sakura and I have been close friends for a few years now. She is actually one of my inspirations for doing embroidery work on cosplays. Shining Sakura, or Rachael, has an eye for detail and the talent to back it up. She started sewing as soon as she could hold a needle and not hurt herself. Her mother is a spectacular seamstress and is one of Rachael's biggest inspirations and role models. 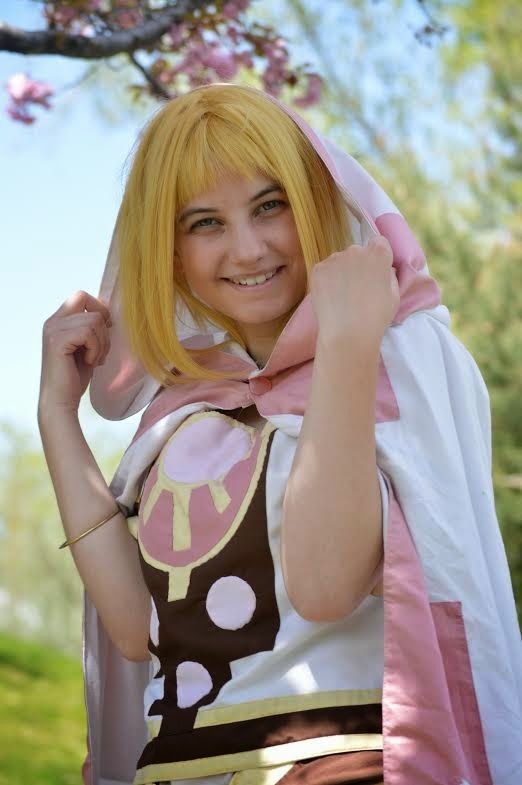 Shining Sakura as Cyrille from the video game Shining Force EXA with handmade Zhirra. Rachael is a very sweet person and loves to share her knowledge and talents. 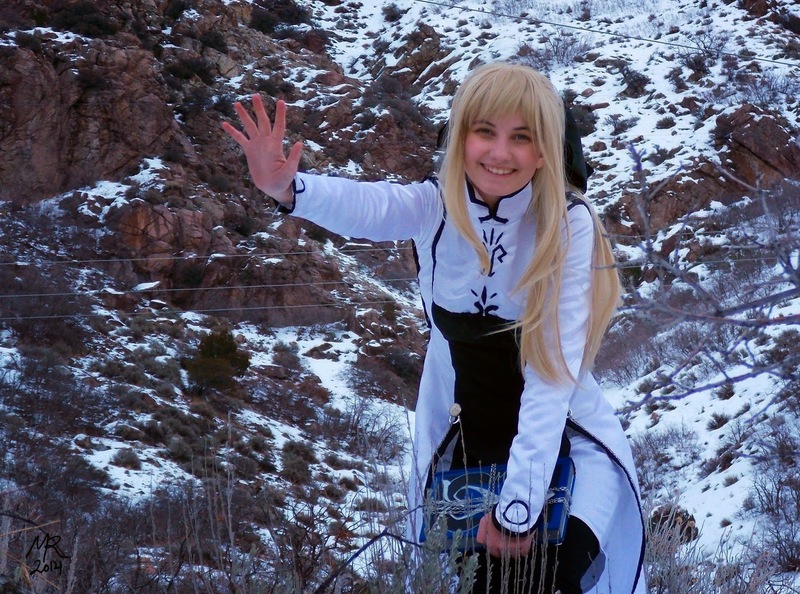 She started cosplaying in 2010, but also says she unwittingly started when she was three years old. She has always loved to dress up as her favorite characters. 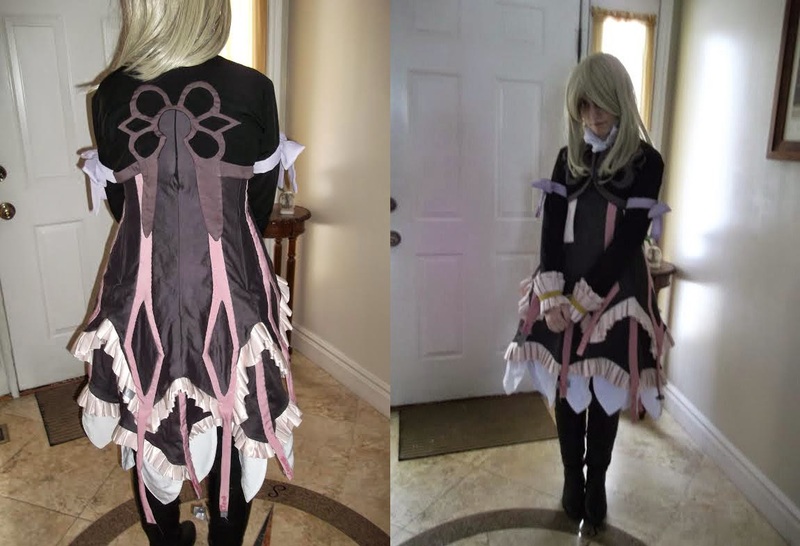 She started sewing around age three, so it makes sense that all her costumes are beautifully hand made. 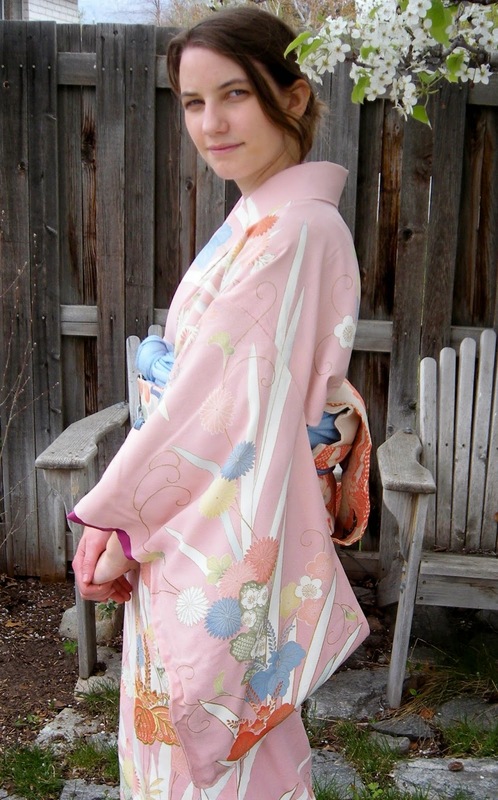 Rachael also loves Japanese culture and owns a number of traditional kimonos. She teaches panels at events on how to wear and care for kimonos. Rachael in one of her favorite Kimonos. Shining Force EXA is Rachael's favorite JRPG (Japanese Role Play Game.) She has been an avid fan of the game since she was seven years old and first played it. 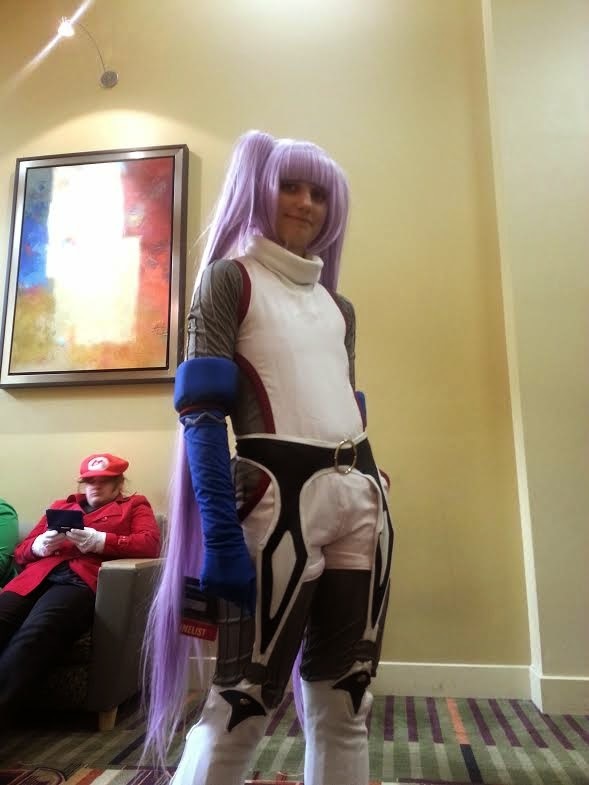 She based her cosplay name off the game and her first official cosplay, Sakura from Tsubasa. What drew you to sewing at such a young age? Yes I did start young. My mom is an avid seamstress and growing up I would watch her sew. I was a very driven and wanted to help out with everything (usual mess maker). I actually have a video of me at age three "helping" my mom sew a quilt and cut out the fabric hexagons while she was sleeping. 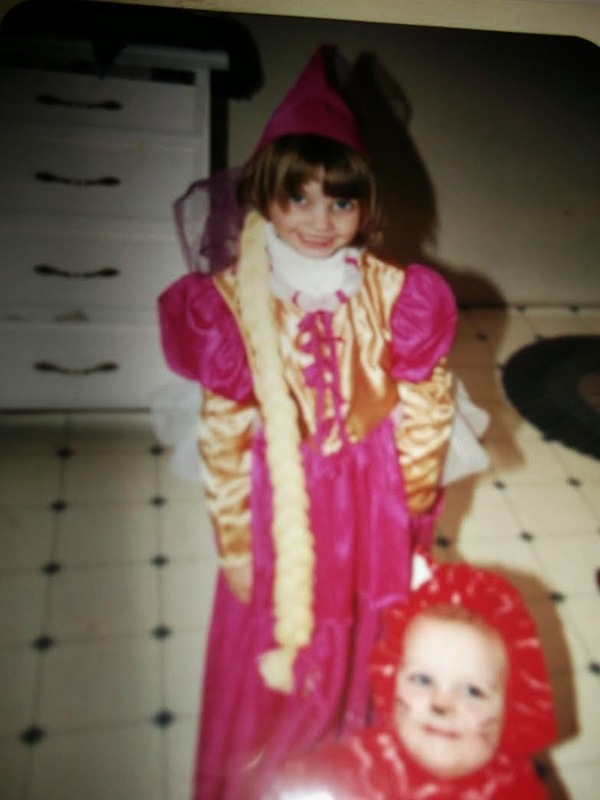 My love of costumes and Halloween, not to mention spending almost every hour of the day in some sort of princess outfit when I was younger also helped draw me in. Pretty princess little Rachael!! So cute!! Many other clothing failures ensued after that, and far too many pillowcases to count. Now I still do make dresses, only now they fit me and most importantly, come off in one piece! What was has been your biggest inspiration to cosplay? My mom and her outfits she made me, I wanted to be like her. I also love learning new talents, meeting new people, and actually being able to put all the skills that I know into one place. I also love passing along what I learn to all who wish to learn. Another inspiring person would be Elrowiel, I went to Nihon Matsuri and saw her performing on stage as Yuuko from XXXHolic (I was reading that at the time and Tsubasa) I wanted so badly to be able to be as good as she was and maybe, just maybe, even get to know her personally. At least I now can say I know her personally. Still working on the other one though. I think you certainly have the talent to hold up against Elrowiel ;) You both are very talented. Tell us about your favorite character to cosplay and why. OH... real tough question.... um...... Can I say almost all. If I have to pick one I would say Cyrille from Shining Force EXA. She was my first competitive cosplay and is real easy to wear, except for the book and chains do get heavy. I love carting around Zhirra on my shoulders from time to time, that ten dollar wig I got online actually is the best one I ever got. Everyone thinks I dyed my hair! with Zhirra on her shoulder. 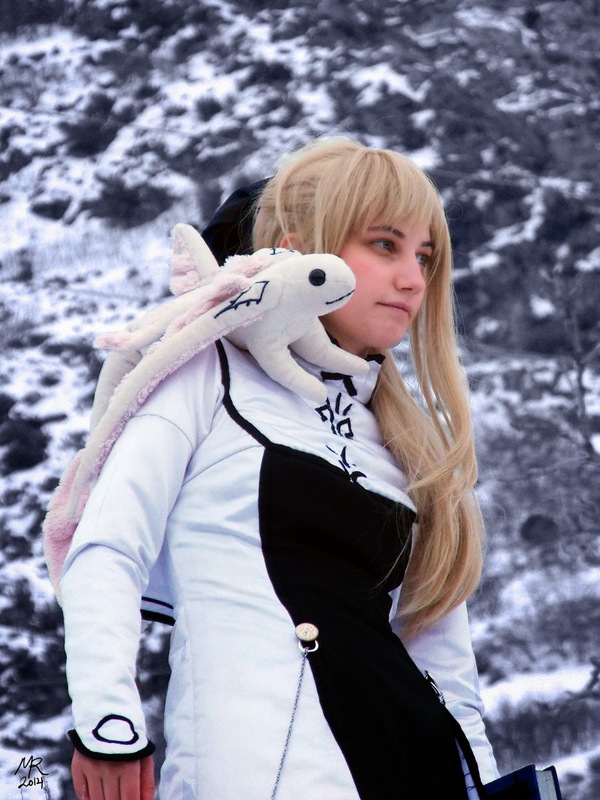 Out of all the cosplays you have made, which one was the most difficult to make? 1. Catheana, she not only cost WAY more than any I had ever done before because of the nice materials, but also I had to learn how to use wonderflex, several new dying and hand sewing techniques. A good amount of the reference material was the size of my little finger in only one Japanese art book. 2. Elise because I had to figure out a way to not only do tons of ruffles and get them to stay still, but to ladder them perfectly. 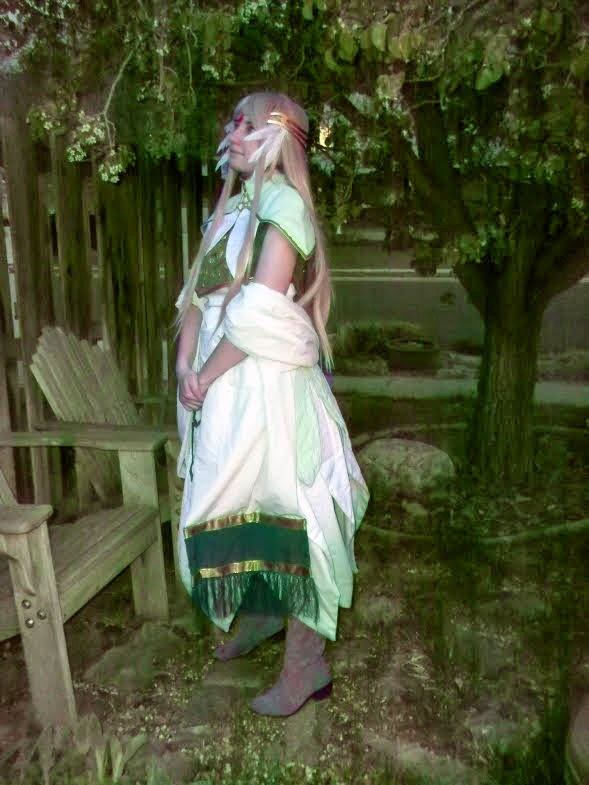 I also had to make shoes from scratch, do tons of hand sewing work, and create a historical petticoat. I thought this one would be the end of me and my cosplay career, quite frustrating. 3. Sophie was my first body suit, and it had textures. I had to make my own french seam cornrows before even cutting it out, then figuring out how to squeeze into the over outfit and have it all in a few pieces. In the end an invisible zipper had to be put upside down from the usual way to get in. Lastly a miku style wig that touches the floor IN PURPLE! Try finding a nice quality correct color purple wig took almost as long enough to make one. I now have enough purple wigs to open a wig store. In her Sophie cosplay she is ready for anything! What kind of advice do you have for anyone who wants to tackle highly detailed cosplay projects? 1. Don't lose hope, even when you know you won't make it this time. There is always another time for your cosplay to shine. 3.If you are going all out, spend a little extra for good sewing tools. You don't have to spend a fortune, but don't go for the cheapest option. More often than not, your all wood 14 inch hoop will splinter your fabric and not stay put. Just go and spend the extra 15 bucks and get the nice inner locking version that will not ruin your fabric and most importantly will stay put. Elaborate needlework and gold-work needs a solid and un-moving hoop. 5. Sewing machines, they do matter (hand sewing can also be as important or even more depending on the outfit, but for this, I will only cover sewing machines) Choosing one is like choosing a car, no one car will be best for everyone. Pick it according to your skill level as well what will allow you to grow as a seamstress. If you only use it rarely, then a over a hundred one is good for you. If you are like me and sew non stop, avoid big store stock models. They are no joke the same on the inside and are like zombies that will need constant revival from you their seamstress necromancer. Let them die and stay dead, they weren't meant to live anyways for long. Remember to have fun and be silly! Digitals have way cool add-ons, auto functions, and even some have letters built in, but do need down time to cool off or they will overheat and melt the chips inside that control everything. Mechanical machines do need more oiling, but will run on and on and on, for all day even. Even better are older all metal beasts (viking, bernina, and others are especially legendary.... I personally have a bernina 1010) Some are 20 plus years, but with constant love, run far better than plastic version of today, others won't, so do your research and have a bit saved up. Downsides are lack of cool add-ons of today's models. Your machines will carry your stitches, your patience, and sanity through a big project. Do yourself and your fabric a favor, get one good for you. Even it it is just the basic one, if that's all you need, don't pay $1,000 for an overpowered thoroughbred that will confuse and overwhelm you to death over just a simple one time schoolgirl's cosplay. 6. Lastly, get reference pictures from a as many angles as you can, find out historical equivalents if possible (it can help you figure out how in this world a kimono looks so good, its all in whats underneath and whats not seen by the way... not just for kimonos hint hint) and don't hesitate to ask how others did it. You may not get an answer from them, but don't feel too bad, it may be their trade secret or their livelihood. A well researched cosplay can turn a nightmare of an outfit into a walk in the park, or at the very least make it less scary. It will help with competing as well if you are into that sort of thing. Spend at least a fourth of your total time doing this if you are after that IMPOSSIBLE outfit. Who knows who you may meet and cool other goodies you find along the way! Thanks for reading!! 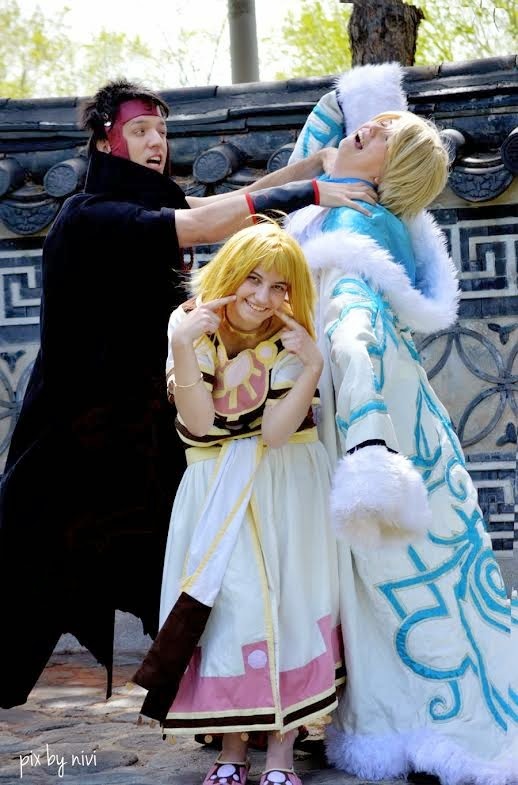 Happy Cosplaying!